I own a number of old cetral-European maps and I always liked the classic hand-drawn cartographic hillshade relief presentation that these maps feature. I am not wanting to reproduce the shading (which is similar to swiss shading) but the accompanying lines. 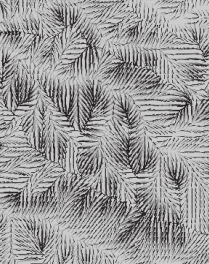 These are not contours but rather down-slope "gradient" lines that (often with a degree of imagination) create a hillshade effect. I don't have my maps on me right now so I can't scan a good detailed example of this but I found some examples online. As far as I know, and at least in Czechoslovakia, these types of maps were being produced up until the second world war. I would like to produce some modern maps with an old feel and featuring this type of effect. Is there any way that this could be done in a modern GIS (Preferably ArcGIS) using an existing DEM? Illustrator or Photoshop solution would also be acceptable. Not a part of the question but I would also be interested to find out: What is this particular hillshading called? Where could I get some more information about how it was done and what rules it adheres to? Granted this article is more than 10 years old, so I bet with improvements in computers and DEM resolution since then, creating a better imitation of old-style Hachure maps would be possible based on the slope and angle of elevation features. This doesn't help with your goal unless you're willing to do some coding, but Michal Migurski recently did some experiments in automating hachures, which were built on by Eric Fischer. Not the answer you're looking for? 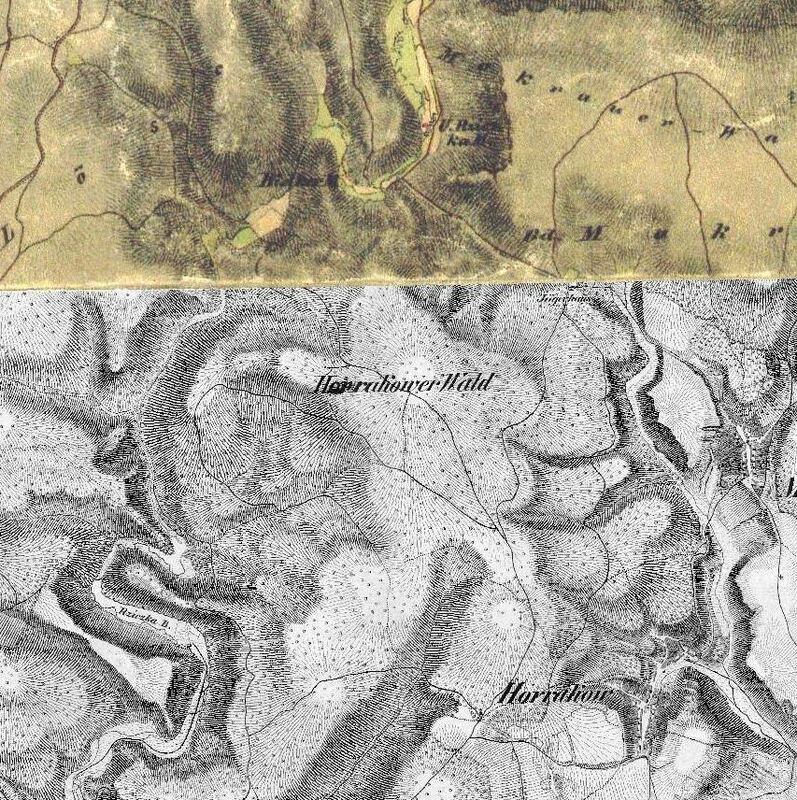 Browse other questions tagged cartography hillshade shaded-relief or ask your own question. 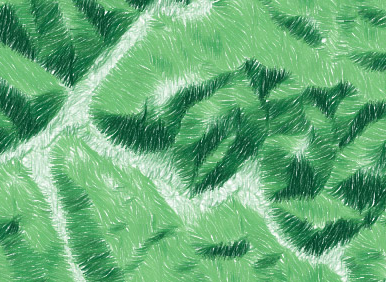 Can shaded relief be “blended” with DEM colour ramp in ArcGIS to produce a more visually dramatic result? 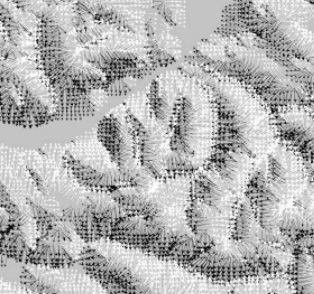 Seeking DEM data to make hillshade and contours? 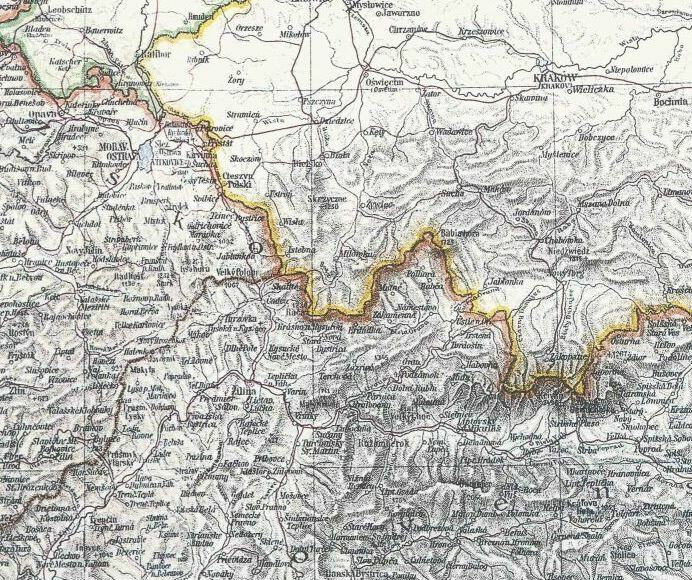 How can I get the original DEM from a hillshade raster (GeoTiff)?